The Senate President, Dr. Bukola Saraki, yesterday described the late founder of the Oodua Peoples Congress (OPC), Dr. Frederick Fasehun, as a patriotic Nigerian who served his country meritoriously during his lifetime. Saraki in a statement issued by his Media Adviser, Yusuph Olaniyonu, in Abuja, said Fasehun was a man who transcended childhood limitation of late enrolment into school, became a medical practitioner of repute and joined in the struggle to enthrone democracy in the country. According to him, Fasehun served the Yoruba nation in particular and the country in general through his cultural renaissance movement â€“ the OPC and political struggle, respectively. 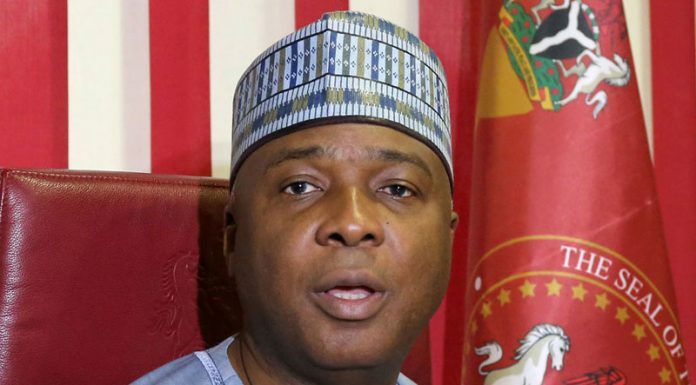 Saraki said the late OPC leader was one of the people who deserved to be called the heroes of Nigeriaâ€™s present democracy as they fought against military rule. â€œFasehun worked to preserve the health of the high and low in society. He worked to free Nigeria from military dictatorship. He worked to promote the cause of the Yoruba Nation. We have lost a star and a man of ideas. We shall all miss him,â€ he stated. Saraki commiserated with the immediate family of the deceased, the government and people of Ondo State and the Yoruba Nation over the sad loss. He urged Nigerians to take solace in the fact that the OPC leader made immense contributions to the socio-cultural advancement and wellbeing of humanity through his medical practice, political activism and cultural reawakening.